Marley Nicholls, six, from Newport, Wales, needs the transplant after being diagnosed with aplastic anaemia, a rare life-threatening condition that stops the body producing enough blood cells. Dwayne “The Rock” Johnson has tweeted his support, saying he is “pullin’ for you Marley”. The former wrestler turned actor was the second-highest paid Hollywood star in the year to July, earning $124m (£97m). He also has 13.1m followers on Twitter. Marley’s family has been searching for a suitable donor since he was diagnosed in July. Aplastic anaemia is so rare it only affects between 30 and 40 children a year in the UK. They had hoped his younger brother, George, would be a match but he was not. Marley’s mother Shaney Truman said: “Marley was diagnosed on July 23, and the news couldn’t have been more out of the blue. “A few weeks after he was taken into hospital, we were told that he could die in the next two or three years. “He needs a bone marrow transplant desperately. “There are hundreds of thousands of people on the register, but there’s no match for Marley. Even his little brother isn’t a match. She also told Coventry Live: “We are desperately searching for a match for Marley to give him a life-saving donor. 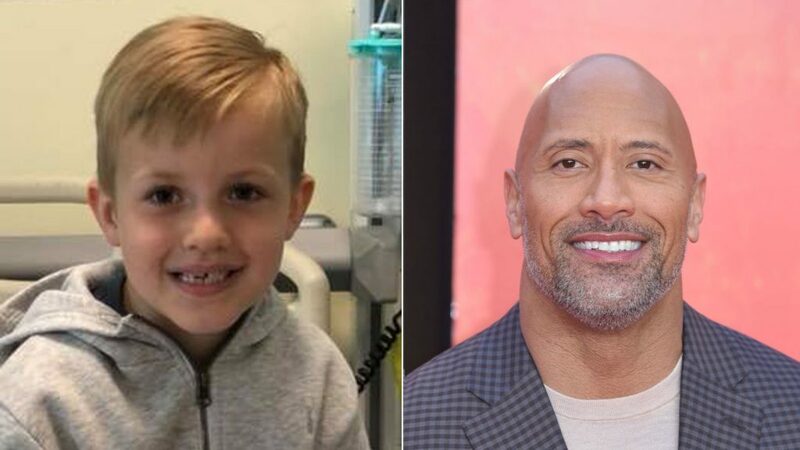 Celebrities including comedian Keith Lemon, Beyonce’s mother Tina Knowles, supermodel Heidi Klum and presenter Vernon Kay have backed the Marrow for Marley campaign, urging people to register as stem cell donors. Since it was launched on Facebook, 14,000 people have signed up, according to Ms Truman.